As well as continually developing long form film and television projects Starchild Media strives to deliver innovative content across all platforms of media. Our work to date in the worlds of advertising and entertainment has drawn accolades at the ACTA awards and nominations at the Grammys, Logies, ARIA’s, ASTRA and BE Branded Content Awards. We create original concepts and produce quality new content for Australian audiences. Our focus is on capturing Australian personalities and way of life in a way that best represents your brand and speaks to your customers. We recognise the evolution of the media towards online and specialise in creating content quickly and cost effectively. We are collaborative and have strong relationships with the most talented and sought after writers and creatives in the industry. We have two fully equipped in-house edit suites and use only the latest in camera equipment. Oh, and we are nice too! So we are told. Get in touch. "Starchild has done a exceptional job of bringing "Style Me" to life. They nailed the brief to produce a show that was inspirational, engaging, accessible and entertaining. Well shot, well paced and extremely well produced with a kick start for Jules Sebastian's TV career. I'm extremely happy with the result, and based on the feedback, so are our viewers." "Thanks so much for being so lovely to work with on Review. It was a treat! I laughed so much watching the christmas special again the other night - what a bloody bonus." "Wanted to shoot you a quick email of thanks, saw the final Dew TVC and I think it looks better than the US spot! You guys were great to work with and have delivered an awesome TVC for us. Thank you!" 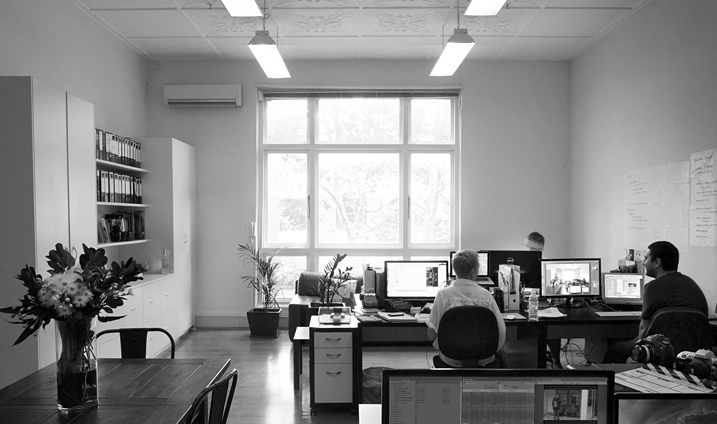 Located on the bustling and vibrant Oxford Street, Darlinghurst, Starchild’s warehouse style office space is bright and airy. We are a full service production company with fully equipped edit suites located onsite and conduct all of our own post production in-house.